← Hear Praise Nite TONITE – Attended by Michael & other Eternal Radio hosts. Avoiding Deception in The Church Part Two : Satan’s Counterfeit Christianity. (Written by Laura Maxwell, on behalf of Michael). Michael told me he feels this is one of the best sermons God has ever given him to share. A Food for Thought special show tonight with Michael Cummins on Eternal Radio at 8pm UK or 3pm CST. Tonight Michael looks at the roots of Christianity, lessons from the early church and avoiding paganism posing as “denominational religion”. Food for Thought airs every Tuesday on Eternal Radio at 8pm GMT or 3pm CST. The repeat airs on Wednesday at 9:15pm GMT or 4:15pm CST. (Taken from Eternal Radio’s website). 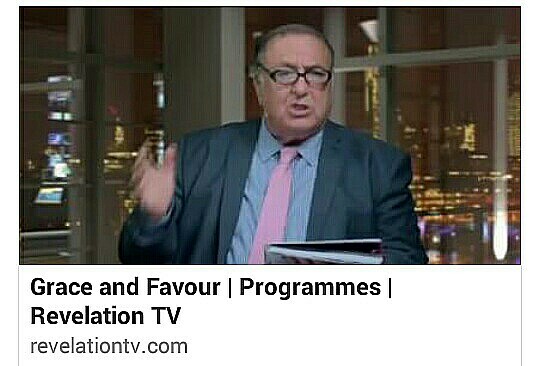 Michael has been a guest speaker on shows on Revelation TV such as Simply The Truth. He hosted Voice in the Wilderness on Revelation TV and now hosts Grace and Favour on that channel. Michael also hosts Food for Thought which airs every Tuesday on Eternal Radio at 8pm GMT or 3pm CST. The repeat airs on Wednesday at 9:15pm GMT or 4:15pm CST. Christ Sets You Free is the ministry resource blog of Pastor Michael Cummins, who lives in London. The Lord Jesus has graciously used him in the healing and deliverance ministry across the UK, since 2006. This ministry has helped many gain freedom from health problems, New Age, witchcraft, the Occult, generational curses and so on. He is a man of integrity and humility and I have referred countless people worldwide to Michael for help over the years! For more details on Michael’s show Food for Thought please see Eternal Radio’s website. This entry was posted in Apostasy, Deliverance, Food for Thought with Michael Cummins, Occult, Paganism, Radio, Spiritual Abuse, Spiritual Warfare and tagged Apostasy, demonic deception, Demons, Eternal Radio, Food for Thought with Michael Cummins, Freedom, Michael Cummins, Paganism, satanic deception. Bookmark the permalink. 2 Responses to Michael Cummins on Eternal Radio tonight – Avoiding Deception in The Church Part 2.